Erected by Wm. 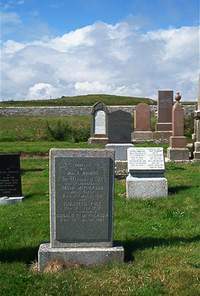 A Munro in memory of his grandparents. David McPherson of West Clyth died 6th March 1910. Wife Elizabeth Yule died 15th February 1932. Brother Donald G McPherson died 28th March 1967.